A lifetime ago, I used to try to teach people things, getting them to a place where they could compete with the best, get in to good universities, follow careers and generally prepare them to be productive members of society. It wasn’t a bad way to spend one’s working life, I suppose, and over the years, I’ve seen the whole educational kaleidoscope played out in a multitude of ways. It seems obvious that someone who gets a class to make cardboard models of a Roman fort is made of different stuff intellectually to a colleague teaching how to approximate square roots, say, by the Newton-Raphson method which isn’t particularly difficult but requires a different level of concentration and engagement. (Be honest. How many of you clicked the link?) But, what is taught is of much less consequence than how it is taught. Different methods demonstrate that teaching is, of course, mixed ability, rather like the classes that sit in front of them. 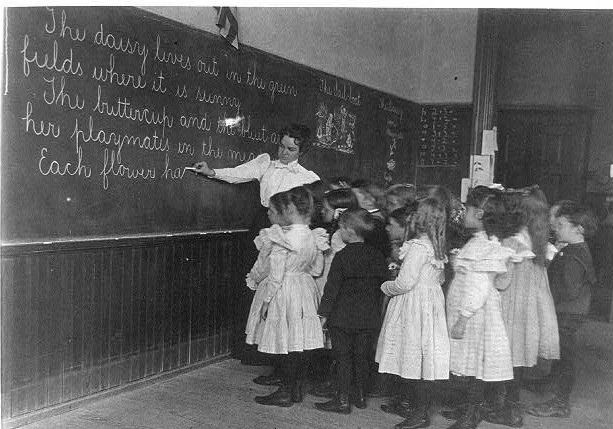 Engaging a class is a craft, requiring the expenditure of a good deal of emotional energy. Good teachers are passionate about this. They hope people ask deep questions, develop ideas and use what they have learned. Holding a class in the palm of one’s hand is worth more than apes, ivory or peacocks, as are the magic words ‘I never understood that before…’. But, it’s not always like that. Sometimes, the dynamics don’t work. Some students simply want to disrupt, because they can and it amuses them to do so. I once taught in a school in Kuwait where behaviour was so bad that teachers ran, sobbing, from the room or refused to cross the threshold. One boy – his father owned the school – took three of his friends roof-climbing instead of attending his English class and was helpless with laughter when the principal tried to threaten, then coax him down as they bombarded him with nuts. Meantime, the rest of the class, fully aware of where the absentees were, rioted quietly as the teacher waved his arms about. Two bad back-to-back classes can leave even experienced practitioners feeling drained and eviscerated. What, I wonder, makes a good teacher? I used to mentor new entrants to the profession, jump through endless hoops to justify any comments I made and the conclusions I came to. The bottom line, however, was really very simple. Assuming a candidate was appropriately well-versed in his particular corpus of knowledge, after about twenty minutes watching them in action I could tell whether someone was going to make it or not. Mostly it was body language, quick-wittedness and an indefinably Thespian feel to events in the classroom which made up my mind. And, mostly, I was right. I still take an interest in education generally and British education in particular, much as one might gaze on a field of corn growing, in which one has little personal investment, but, it’s nice to see the results of others’ labour. For years, while in the UK, I engaged myself with national curricula, inspections, grade boundaries, differentiation in the classroom (ha!) monitoring and all the other ill-fitting flummery with which the profession has had to clothe itself in the last few decades. There’s a sense in which everyone has some vested interest in how kids get educated but it’s a political and territorial minefield. Successive governments seem to love letting slip the dogs of war to demolish and reconstruct with wearyingly predictable regularity at the expense of yet another cohort of hapless youngsters who have no say in the matter. It is as if the education portfolio in the House is the political equivalent of the SAS. Bright young politicians with a grievously inflated sense of their own competence and worth seem to be allowed to pull out the pin and go over the top which furthers their political careers as the swashbucklers and risk takers of the green benches in the House. People are still licking their wounds from the 1970’s when one particular Education Minister – the ‘milk-snatcher’- went on to higher and nobler things like becoming Prime Minister but not before doing more damage than Bonaparte via the dank labyrinth of a National Curriculum. The present incumbent’s approach looks worryingly similar. 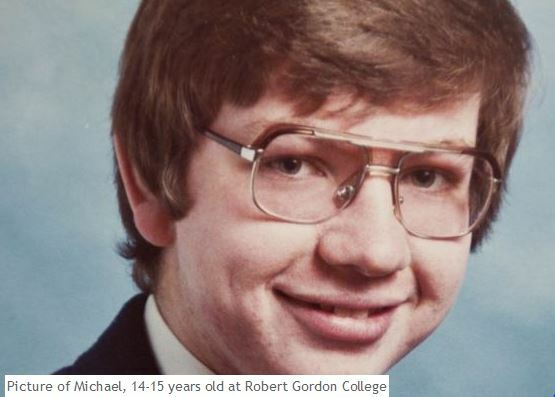 For those who don’t know, he’s a fellow called Michael Gove. In case you can’t be bothered to look up his educational pedigree, in brief, he’s Scottish, privately educated, became president of the Oxford Union, and secretary of his local Young Conservatives. Here’s the little clever-trousers snapped for posterity when still a ghastly oik at the back of the room, peppering his teachers with questions to which he already knew the answers. When he applied for a job at Conservative Research Department he was turned down because he was ‘insufficiently political’, also ‘insufficiently conservative’. He then got a job as a journalist, which he seemed reasonably good at. So, what have we got so far? Slick operator, both verbally and on paper, with a chip on his shoulder. After less than seven years in Parliament, he snags a Cabinet job about which he knows nothing and it’s time to get his own back, which he seems to be doing with remarkable ruthlessness. Clicking on the cartoon makes it larger. He is going to make kids memorise stuff again, which isn’t of itself a bad thing, unless it happens to be the chronology of the British Monarchy instead of the War Poets. The first will make you a republican, the second a pacifist. Go figure. All this floating by rote will have to be done with larger classes because some previous incompetent hadn’t figured out that more kids of a particular age will need more space in which to house them to memorise stuff, so groundsmen’s sheds all over the country will now become music rooms. He’s been told that he has to big up the teaching profession and tell everyone how wonderful it is when it’s transparently obvious that he thinks they’re a crowd of indolent, time-serving lollygaggers. No wonder the NUT tabled a motion of no confidence in him at their 2013 Conference and, to quote the gentleman out of context, returning his own words to him, when he “weeps hot tears for a life spent serving an ideology of wickedness will he ever be worth listening to”. The ideology of wickedness, is, of course, his own flamboyantly inflatable ego. People have been flapping around, squeaking excitedly about the shiniest new educational toy ever since someone thought it a good scheme to make kids go to school. Truth is, after all these years, the politicians still don’t know how to do education. They don’t know because they have the attention span of a grapefruit when it comes to making decisions which are meant to have lasting consequences. They never did, as it happens, but like to try to convince everyone that last season’s ideas should be trashed just because they’re not new, as if educational method could be handled in the same way as buying a car. For some, whichever methode du jour is employed, attending a traditional school is and always will be a waste of time, for others, it’s a perfect place to think, create and learn. 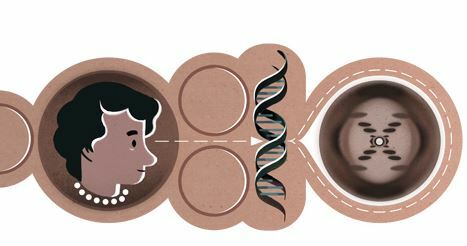 Today is Rosie Franklin’s birthday – there’s even a Google logo of her. She was a brilliant scholar, my professor’s professor at Birkbeck, a pioneer in DNA crystallography and was robbed of the Nobel by Watson and Crick. Doubtless for her, the latter was true.